An altar is any structure upon which offerings such as sacrifices and worship are made for religious purposes. Altars are usually found at shrines, temples, churches and other places of worship. Today they are particularly in Christianity, Buddhism, Shinto, Taoism, as well as in Neopaganism and Ceremonial Magic. Many historical faiths also made us of them, including Greek and Norse religions. Elevated areas of high places were considered as nearer to heaven than the plains and valleys. In almost all ancient cultures they were prevalent as centers of worship. High places in Israelite (Hebrew: Bema or Bama) and Canaanite culture were open-air shrines, usually erected on an elevated site. Prior to the conquest of Canaan by the Israelites in the 12th-11th century BCE, the high places served as shrines of the Canaanite fertility deities, the Baals (Lords) and the Asherot (Semitic Goddesses). In addition to an altar, matzevot (stone pillars representing the presence of the divine were erected. The practice of worship on these spots became frequent among the Hebrews, though after the Temple was built it was forbidden. Such worship was with difficult to abolish. It was denounced time after time by the prophets as an affront to God. 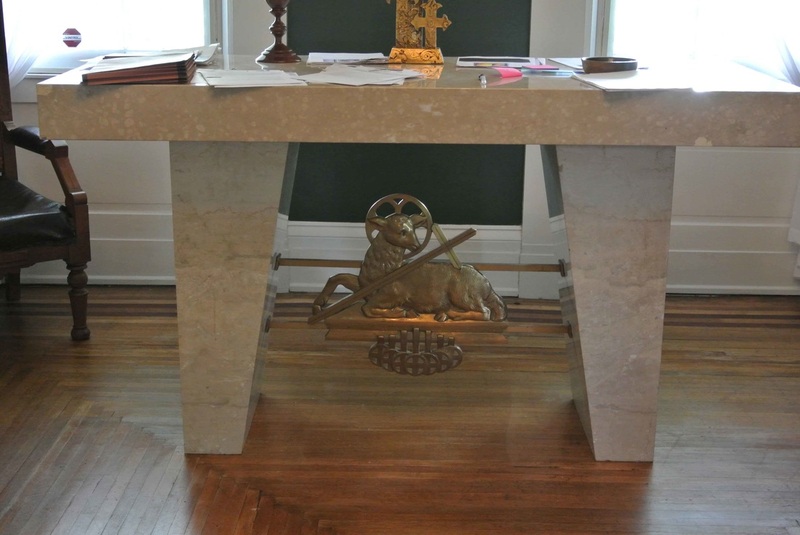 This particular altar with the golden lamb underneath was donated to MOSA by St. Anne’s Episcopal Church, West Chester, Ohio.